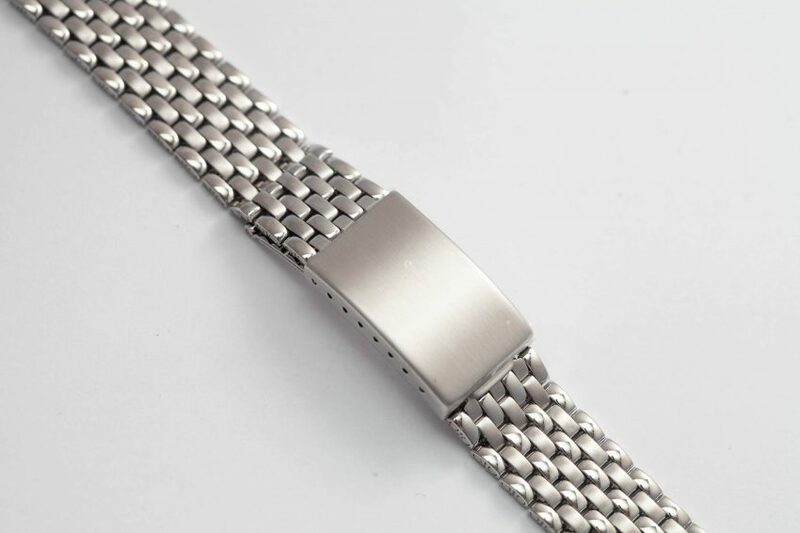 Inspired by the the bracelets watch geeks have coveted since the mid 20th century, the ones featured on the best Patek Philippe, Longines and Rolex of the era, these Beads of Rice bracelets are a godsend. Not only do they feature straight end links and an adjustable clasp but an intricate combination of both polished and brushed finishing. We couldn’t be more proud but to be offering them here! Note: Bracelet and watch featured in the last photo are by Patek Philippe and served as the inspiration for these bracelets.